Tags: Chicago Norwood Park Real Estate Listings and Homes for Sale in Chicago Norwood Park/ Big Oaks/ Oriole Park/ Union Ridge, Jefferson Park, Edison Park, Edgebrook, Norwood Park Real Estate Agent Broker Realtor RE/MAX City Chicago Norwood Park, Chicago discount MLS listings, Chicago discount real estate agent broker realtor. Polish speaking agent, mowimy po polsku, polski agent, polskie biuro, nieruchomosci, kupno, sprzedaz, domy w Chicago Norwood Park. *Sale Pending* Under Contract in 4 days with multiple offers received. Schiller Park Real Estate agent broker, Schiller Park Homes for Sale, Schiller Park Discount Realtor, Schiller Park Best Real Estate agents, Schiller Park Top Realtors, Schiller Park Discount commission MLS listings, Schiller Park Polish Speaking Realtor agent broker, Polski Agent, Mowimy po polsku. 1433 Willow Ave, Des Plaines, IL 60016 – 2 beds, 1 Bath. Des Plaines Real Estate Agent, Des Plaines Homes for Sale, Des Plaines Houses, Des Plaines Condos, Des Plaines Townhomes, Des Plaines Buyer’s Agent, Des Plaines Seller’s Agent, Des Plaines Discount Realtor, Des Plaines discount MLS listings commission discount rebate refund, Des Plaines bank owned homes foreclosures, Des Plaines short sale agent, Des Plaines foreclosure agents, Des Plaines Polish Speaking Realtor. Domy w Des Plaines, kupno, sprzedaz nieruchomosci, polski agent, mowimy po polsku. Michael Sorensen is ranked among best selling polish speaking real estate agents in Chicago and Illinois with 168 properties listed and closed since 2009. RE/MAX Hall of Fame Award Recipient. We are #1 RE/MAX in Chicago. Sellers. List your property with Michael Sorensen and it will be advertised in the polish newspaper until sold with a color photo, brief description and a link to property website with professional photos and a virtual tour presentation. Myslisz o kupnie lub sprzedazy domu lub kondominium w Chicago lub na przedmiesciach? Najlepsze rezultaty osiagniesz pracujac tylko z najlepszymi! RE/MAX City to Numer 1 Biuro RE/MAX Nieruchomosci w Chicago, Illinois. RE/MAX City Chicago to najwieksza agencja RE/MAX dzialajaca na rynku Chicago od ponad 25 lat. Oferujemy Panstwu uslugi w zakresie posrednictwa obrotu nieruchomosciami: Kupno Domu, Sprzedaz Domow w Chicago i na przedmiesciach. Pomagamy kupic dom, sprzedac dom, wynajac mieszkanie, wycenic dom, sprzedac dom, mieszkanie lub inna nieruchomosc w Chicago i w rejonie Chicago. Pomoze Ci jeden z najlepszych posrednikow specializujacy sie posrednictwem w zakresie kupna, sprzedazy domow, mieszkan, dzialek, lokali w Chicago. Profesjonalnie i skutecznie zajmujemy sie posrednictwem w negocjacjach Short Sale. U Nas Klient Sprzedajacy Dom Poprzez Short Sale Nie Placi Prowizji. Prowizje (commission), koszty adwokata, zalegle podatki pokrywa Bank Sprzedajacego. Klient Kupujacy dom rowniez Nie Placi prowizji. RE/MAX City Chicago Posrednictwo w obrocie nieruchomosciami. Mowimy Po Polsku, Polski Agent, Posrednik Obrotu Nieruchomosci, Kupno Domu, Sprzedaz Domu, Short Sale po Polsku. Chicago, Illinois, Best Polish speaking real estate agents, Domy w Chicago, Short Sales, Bank Foreclosures, Chicago Real Estate, Illinois Homes For Sale. We serve Chicago and Addison, Arlington Heights, Algonquin, Alsip, Antioch, Aurora, Bannockburn, Barrington, Bartlett, Belvidere, Bensenville, Berwyn, Bloomingdale, Bolingbrook, Buffalo Grove, Bridgeview, Burbank, Burr Ridge, Carol Stream, Carpentersville, Cary, Cicero, Crystal Lake, Deerfield, Deer Park, Des Plaines, Downers Grove, Dundee, Edison Park, Elgin, Elk Grove Village, Elmhurst, Elmwood Park, Evanston, Fox Lake, Forest Glen, Franklin Park, Geneva, Genoa, Glencoe, Glendale Heights, Glenview, Grayslake, Great Lakes, Gurnee, Hainsville, Hampshire, Hanover Park, Harwood Heights, Hawthorn Woods, Highland Park, Hinsdale, Hoffman Estates, Huntley, Ingleside, Inverness, Island Lake, Itasca, Ivanhoe, Irving Park, Jefferson Park, Joliet, Kenilworth, Kildeer, La Grange, Lake Bluff, Lake in the Hills, Lake Forest, Lake Villa, Lakeview, Lake Zurich, Lemont, Libertyville, Lisle, Lincoln Park, Lincolnshire, Lindenhurst, Lombard, Long Grove, Marengo, McHenry, Melrose Park, Morton Grove, Mount Prospect, Mundelein, Niles, Naperville, Norridge, Northbrook, Northfield, North Center, North Chicago, Northlake, Norwood Park, Northshore, O Hare, Oak Brook, Oak Lawn, Oak Park, Old Town, Orland Park, Palatine, Park Ridge, Plainfield, Prairie View, Portage Park, Prospect Heights, Richmond, River Grove, Riverwooods, Rockford, Rogers Park, Rolling Meadows, Roselle, Round Lake, Schaumburg, Schiller Park, Skokie, Sleepy Hollow, South Barrington, South Elgin, Spring Grove, Spring Grove, St. Charles, Stone Park, Streamwood, Sugar Grove, Summit, Sycamore, Sugar Grove, Tinley Park, Vernon Hills, Villa Park, Winnetka, Wadsworth, Wauconda, Waukegan, Wayne, Westchester, Wheaton, Wheeling, Willowbrook, Wilmette, Winthrop Harbor, Wonder Lake, Wood Dale, Woodridge, Woodstock, Zion. Tags: Domy w Chicago, Mowimy Po Polsku, Nieruchomosci w Chicago, Illinois, Top Ranked Polish Agent, Best Selling Polish Speaking Realtors, Polish Realtors in Chicago, Polish Remax Realty Chicago, Polish Speaking Real Estate Agents, Polski Agent w Chicago, REMAX CITY, Short Sale Po Polsku, Kup dom, Sprzedaj dom. Najlepszy polski agent posrednik short sale w RE/MAX City Chicago. GREAT LOCATION! MOVE-IN CONDITION! LOW PRICE! UPDATED GROUND FLOOR UNIT WITH ATTACHED GARAGE PARKING, IN-UNIT LAUNDRY, CENTRAL AIR. NEW LAMINATE WOOD FLOORS. NEW PAINT. LARGE MASTER BEDRM W/ WALK-IN CLOSET. PATIO. PRIVATE STORAGE. NEWER ROOF, SIDING, HALLWAY. MINUTES FROM I-90 AND WOODFIELD MALL. REGULAR SALE (NOT A SHORT SALE) – WE CAN CLOSE IMMEDIATELY. BETTER HURRY! WILL NOT LAST. RENTALS ALLOWED. 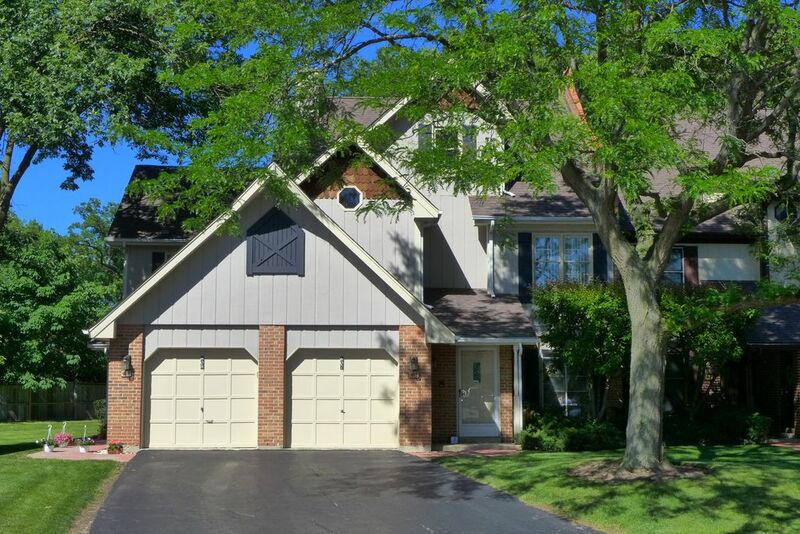 Tags: 537 Shagbark Ln Unit D in Streamwood listed by Michael Sorensen, Broker Associate, RE/MAX Hall of Fame Member. RE/MAX Listing Specialist, Streamwood Listing Agent, Streamwood Seller Agent, Streamwood Buyer Agent, Streamwood Real Estate agents – Homes For Sale in Streamwood IL 60107. BIGGER THAN IT LOOKS. WELL MAINTAINED HOME. 4-5 BEDROOM POTENTIAL (2 BEDROOMS ON MAIN LEVEL). LARGE KITCHEN WITH TABLE SPACE, PLENTY OF CABINET SPACE AND WALK-IN PANTRY. MANY RECENT UPDATES: NEWER ROOF, NEWER WINDOWS, NEWER HOT WATER TANK. FINISHED ATTIC HAS 2 ROOMS. FINISHED BASEMENT WITH 2 LARGE FINISHED ROOMS PLUS UTILITY ROOM. SUMP PUMP. NO GARAGE. EXCELLENT LOCATION/ QUIET RESIDENTIAL BLOCK. REGULAR SALE. Elementary School (80): James Giles – 0.3 mile from this house. High School (234): Ridgewood Community H.S. – 0.4 mile from this house. $1,000 Home Buyer Rebate. Buy any house in Norridge with Michael Sorensen as your agent and I will give $1,000 for your down payment or closing costs. 20% Seller MLS Listing Commission Discount when you sell any house in Norridge with Michael Sorensen. 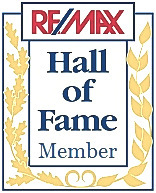 Michael Sorensen, Broker Associate, RE/MAX Hall of Fame Member. RE/MAX Listing Specialist, Norridge Listing Agent, Norridge Seller Agent, Norridge Buyer Agent, Norridge Real Estate agents – Homes For Sale in Norridge IL 60706. Seller Listing Commission Discounts. Home Buyer Commission Rebates. I currently offer the following seller commission discounts and home buyer rebates. SELLERS. Pay 4% Commission on any property listed with me with the selling price over $200,000. BUYERS. Get 20% Buyer Commission Rebate on any property purchased with me over $200,000. Call for details (773) 987-8224. Offer valid thru Feb 28, 2015.